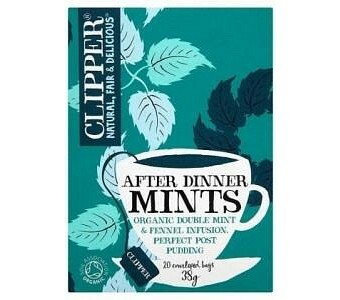 Clipper Organic After Dinner Mints Double Mint & Fennel is made from a fusion of menthol and organic peppermint that is naturally sweetened with spearmint. These tea bags are like little breath mints and also contain a little fennel and ginger to give them a hint of spice that are truly delicious and refreshing. Perfect for after-dinner. 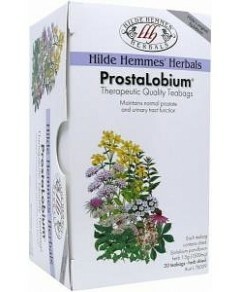 Ingredients: Certified organic peppermint, fennel seed, spearmint, and ginger root.